Professional but not Advanced product that offers essential tools for emulation and image making. Wide functionality at reasonable price. DAEMON Tools Pro Standard was available as a giveaway on June 17, 2010! Back up your physical CD, DVD and Blu-ray discs into disc image files which run directly on your hard drive, flash drive or network. Organize image collections with an electronic catalog. Create up to 16 virtual drives that act just like “real” physical ones to access images' data quickly. Work with images created by other programs -- DAEMON Tools supports variety of image types. It's an essential toolkit for emulation and disc image making. Get yours! Funnily enough nearly everyone seems to highly recommend this program. The best of the bunch. The category killer, except it's not quite. I like what it does, about the only thing I literally cannot do with it is to create images from files on computer, but there are plenty of other programs to build iso images from a stack of files, so I cannot really fault it for that lack, as it does literally everything else I want from a virtual drive program. I have yet to test it out on any of the copy-protected games I have here, as my other main lack has come to the fore with this program... you need gobs of space to store CD/DVD/BluerayDisc images, even when they're compressed. Of course people have larger hard drives these days, allowing for more images to stash. I'm awestruck that GAOTD was able to provide this program for free, I'm only sad I don't get any support or free upgrades, but that's a price I'm willing to pay. Program installs fine on my Windows 32-bit XP Home, no issues here. Ive had the free version on my xp computer for years and its worked great. Installed this version on my Vista 32 pc and all seemed ok but then the computer would not load windows when i rebooted. It just froze. I managed to get into the bios and eventually it booted up again. Then the CPU fan was hammering away at full speed and sounded like a hairdryer. I went into asus suite and reset the fans to default and they slowed down again but when i tried to reboot i had all the mentioned problems again. I have now uninstalled and everything seems ok now. What is wrong with this version? 137 the same happened to me - there was no indication you had to boot there and then or registration wouldn't work. So a complete waste of my time unless a registration code can be given that will still work. I forgot to reboot my computer after installation, just checked "later". Now i turn my computer on again, but the serial is gone so i can't activate my software. Is this a unlucky-situation or can i do something? Or get help? I forgot to reboot my computer after installation, just checked "later". Now i turn my computer on again, but the serial is gone so i can't activate my software. Is this a unlucky-situation or can i do something? Or get help? 1. This is one of the best mounting software out there. 4. This was on the internet everywhere yesterday! wow thanks a lot! I've also used DT (free version) for years now and I am going to love the option to mount ISOs within Explorer. I had just gotten used to the toolbar option of DT Lite and this version doesn't have it but I'll get over it. I installed this on three computers without any problems (XP SP3, Vista Ultimate and Windows 7 Pro). wow thanks a lot! I've also used DT (free version) for years now and I am going to love the option to mount ISOs within Explorer. I had just gotten used to the toolbar option of DT Lite and this version doesn't have it but I'll get over it. I installed this on three computers without any problems (XP SP3, Vista Ultimate and Windows 7 Pro). I touch the Give Away Of The Day dot Com almost daily. I highly appreciate your contribution to the Comptuting World and also of the sharing Publishers. Thank you ve Daemon teamry much GAOD team! I installed The Daemon Tools twice on the same PC; once in the Try n Decide mode of True Image Home 2010, then installed it again after discarding the sesstion. Itinstalled smoothly both of the time. Very few software from GAOD could not be installed, most of the time through error on my behalf, 'cause I've been new to the field. Those few instances have of big softwares which upon activation put down the activated copy in the root of the system drive, and then one has to restart the installation from the activated one. I just missed those one or two. I suppose most of the error originate from presence of virus or mother malware on the host PC. I touch the Give Away Of The Day dot Com almost daily. I highly appreciate your contribution to the Comptuting World and also of the sharing Publishers. Thank you ve Daemon teamry much GAOD team! I installed The Daemon Tools twice on the same PC; once in the Try n Decide mode of True Image Home 2010, then installed it again after discarding the sesstion. Itinstalled smoothly both of the time. Very few software from GAOD could not be installed, most of the time through error on my behalf, 'cause I've been new to the field. Those few instances have of big softwares which upon activation put down the activated copy in the root of the system drive, and then one has to restart the installation from the activated one. I just missed those one or two. I suppose most of the error originate from presence of virus or mother malware on the host PC. Thank you again. Double Thumbs Down. Installed fine, registered without question. A) On one machine (XP 3) caused several programs to close, inconveniently, you might say. B) We don't have enough "LOAD AUTO w WINDOWS?" Gave fair search through all menus, could not find place to turn off "START WITH WINDOWS" ----- ugh, such a turnoff. Still and still, Thanks to GOTD, and for providing updates as you were resolving the activation challenge. Installed on my Windows XP SP3 32bit PC with AV AND Spyware programs enabled... had ABSOLUTELY NO Problems whatsoever! Don't know why so many people are complaining about install problems, almost didn't give it try because of them. Thanks Giveaway of the Day! Installed on my Windows XP SP3 32bit PC with AV AND Spyware programs enabled... had ABSOLUTELY NO Problems whatsoever! Don't know why so many people are complaining about install problems, almost didn't give it try because of them. Thanks Giveaway of the Day! Downloaded quickly. Would not install on WinXP SP3. Tried multiple install attempts. Tried multiple deletes and redownloads. As others above noted I get error 14. Worthless software. I get some kernel degugger message. As a follow up to my previous commment, it removed the vista battery status and power configruation icon from the tray notification area so basically it is incompatible with full vista laptop functionality so it has to go... unistalled software and performed system restore to prior state and got things back the way they were. Not recomended for Vista or above laptops. I have been a fan of Daemon Tools for many years, and have used them without any issues on a variety of machines. I have always used the Lite Free version and it has worked flawlessly. I just upgraded to the GOTD Daemon Tools Pro Standard version without any issues. I did have to download from the Mirror site as the file I downloaded twice from the main site would not unzip without errors. Once downloaded and unzipped, it installed without any issues on my XP SP3 system. After the install completed, the system requested a reboot which I allowed. Upon restart, the system came up without any issues as it completed the installation. I use Avira Antivir and always disable the AviraGuard when installing software. I also run Zone Alarm Pro, and of course had to permit the changes to my system to allow it to activate and also check for upgrades when needed. The new version appears to work just as good as my prior version. Thanks for the great software GOTD!!! This rocks! @ 111. unfortunately NO it does not come with an uninstaller, in fact it doesn't even show up in programs and features in control panel; so you can't uninstall it there either.... it is a really good program, but it does NOT like win7 64bit ...IMO .. This was just the kind of software that I wanted and for the first time GOTD has delivered! on rebooting my vista home premium laptop after installing this, the power icon has been removed from the notification area and to make matters worse the option to put it back where it belongs is now disabled! NOT GOOD! No indication of battery charge status, no easy way to change power profiles short of going via the control panel. I have no idea what this developer thinks they are doing by removing such a crucial part of the vista laptop user interface! on rebooting my vista home premium laptop after installing this, the power icon has been removed from the notification area and to make matters worse the option to put it back where it belongs is now disabled! NOT GOOD! No indication of battery charge status, no easy way to change power profiles short of going via the control panel. I have no idea what this developer thinks they are doing by removing such a crucial part of the vista laptop user interface! I've been using the freeware version Daemon Tools Lite to mount disk images for many years. It's a really nice program I can't live without (due to amount of disk images I have). Now thanks to GAOTD I can upgrade to the Pro version which can also create and burn ISOs and has a nice GUI (which the Lite version doesn't have). Really big thanks to GAOTD for today's offer. P.S. 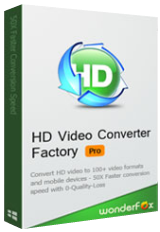 : If compared to the Pro Advanced version, this version lacks image converter and IDE emulation. @106: DT is often used to bypass game copy protections. If you plan to use DT and play games which don't like DT, the best way to do this is to use a cracked/fixed game executable which has the protection removed (I'm not sure if it's legal even if you have purchased the game). I've been using the freeware version Daemon Tools Lite to mount disk images for many years. It's a really nice program I can't live without (due to amount of disk images I have). Now thanks to GAOTD I can upgrade to the Pro version which can also create and burn ISOs and has a nice GUI (which the Lite version doesn't have). Really big thanks to GAOTD for today's offer. P.S. : If compared to the Pro Advanced version, this version lacks image converter and IDE emulation. @106: DT is often used to bypass game copy protections. If you plan to use DT and play games which don't like DT, the best way to do this is to use a cracked/fixed game executable which has the protection removed (I'm not sure if it's legal even if you have purchased the game). Both Machines running Windows 7 64-bit Ultimate. This would have to be the best piece of software I have ever used, and I have never had any troubles with it at all. Thank you very much GOTD - I have used Daemon Tools for years, and already have a purchashed version of DT Pro on one computer, but only have lite on the other, now I can have both on both computers :) Downloaded - No Problems Updated lite - No Problems Activated - Automatically no Problems... Both Machines running Windows 7 64-bit Ultimate. This would have to be the best piece of software I have ever used, and I have never had any troubles with it at all. When trying to install this software, which has had a good rep for many years, I also was forced to abort the install. I am running xp3 pro with sp3 and was surprised to get a SONAR warning from Norton 360 v4.0 stating it was seeing suspicious activity and recommended not to install the software. I can only say this, what is better, following the recommendation of your security software or dis-abling it to install this freebie. While I would say I wanted to install it, I will wait till I can do so without generating errors and shutting off security programs designed to protect my system. What is the solution to Error code 14 as reported several times here ? It would be nice to get a useful response before the installation time runs out, thanks ! What is the solution to Error code 14 as reported several times here ? It would be nice to get a useful response before the installation time runs out, thanks ! for those getting the error message like "timed out" or "server request failed" just keep hitting the retry. with so many DL'ing and installing, I am sure it is busy. i too had a few of the error messages and it just took a few retries to go through.. shouldn't take to many tries to get through..
one question I did wonder, I was having issues getting a program to rip a blu-ray to my hard drive to back up, will using this allow me to put a blu-ray in my drive and back it up and let me watch it anytime I want without having the BD in? from what I am reading I should be, its just that I am new to this and not sure how to "rip" it from the BD to create the iso in order to mount it.. I keep getting a "failed to connect" pop up every time i try to install, i have tried running as admin and in various compatablity modes and still nothing. Installed and activated fine, but it took over the drive letter for one of my USB drives. Uninstalled it and rebooted but the USB drive is nowhere to be found. Nice. i've seen pros and cons on this software...mostly all good comments...but will installing the SPTD driver mess up my computer? is it easy to uninstall? this is the only thing holding me up..hearing about why some programs don't need sptd and this one does...what is the difference in this case? I had to disable adaware to then reinstall properly. thanks. I am having trouble activating this...I keep getting an "Error code 6" Server request failed. I am having trouble activating this...I keep getting an "Error code 6" Server request failed. I have been trying for quite a while now, to no avail... Any suggestions??? Thanx!! After rebooting at the end of the setup, at start-up I get a message asking if I want t trial license or paid license. After choosing the default paid license I get a message asking me for a serial number. Is anyone else having this problem? Having the "Internal Setup Error Code 14" as well. W7 Pro x64 with Virtual CD 10 installed - but it has no game emulation. Anyone found out how to counter this error during setup? Having the "Internal Setup Error Code 14" as well. W7 Pro x64 with Virtual CD 10 installed - but it has no game emulation. Anyone found out how to counter this error during setup? It should be noted that Daemon Tools is "Blacklisted" by many software companies. Many games will refuse to run if they detect Daemon Tools or other virtual drive software. The Sims is one noted game. I guess they figure that there is no legitimate reason to have a virtual drive and that all virtual drive software owners are pirates. I have used it for years to run images of my legally purchased games, I don't like bringing all my CD's everywhere I take my laptop. Uninstalling Daemon Tools usually didn't cure the blacklisting problem, so you may find yourself looking for software to hide Daemon Tools from being seen from some of your games. It should be noted that Daemon Tools is "Blacklisted" by many software companies. Many games will refuse to run if they detect Daemon Tools or other virtual drive software. The Sims is one noted game. I guess they figure that there is no legitimate reason to have a virtual drive and that all virtual drive software owners are pirates. I have used it for years to run images of my legally purchased games, I don't like bringing all my CD's everywhere I take my laptop. Uninstalling Daemon Tools usually didn't cure the blacklisting problem, so you may find yourself looking for software to hide Daemon Tools from being seen from some of your games. Does anyone one know if this software could be used to install and run autocad from a flash drive. I do alot of business travel requiring me to use autocad at customers facilities. Been using my laptop for this, but if I could run this on a desktop without having to install autocad on customers computer that would be great. Microsoft Security Essentials and AVG gave no warnings. Installed, activated, after reboot running without any problems (Windows XP Professional, sp3, 32-bit) Microsoft Security Essentials and AVG gave no warnings. After this alert of infection from AVG anti-virus, I de-installed Daemon Tools Pro Std. Having read so many positive comments about this software, I tried a new installation and ... strangely ... AVG anti-virus doesn't detect any infection anymore (?!) in the directory of installation of DTP. About my comment #92 (marcuswilm) After this alert of infection from AVG anti-virus, I de-installed Daemon Tools Pro Std. Having read so many positive comments about this software, I tried a new installation and ... strangely ... AVG anti-virus doesn't detect any infection anymore (?!) in the directory of installation of DTP. Thanks GAOTD but this is just not for me. Thank you Chris(#37) for the heads up on the problems with this software. 312,062 views of "How to remove DAEMON Tools V4" on THE DAEMON TOOLS FORUM convinces me that I do not want to risk installing this giveaway. Why are those posts that call people names like "morons" not being blocked? Thanks GAOTD but this is just not for me. Thank you Chris(#37) for the heads up on the problems with this software. 312,062 views of "How to remove DAEMON Tools V4" on <a href="http://forum.daemon-tools.cc/f26/" rel="nofollow">THE DAEMON TOOLS FORUM</a> convinces me that I do not want to risk installing this giveaway. Why are those posts that call people names like "morons" not being blocked? OMG I LOVE YOU GAOTD IVE BEEN AFTER THIS FOR AGES!!!!! Again no need to test this to say that this program does what it says on the tin! Does this mean that I CAN use the programme on my old IDE drive ? great, i added this to bookmarks, and my friends too, great site. I don't know why some of the people are complaining, but installation went smooth, program activated without any issues! This is by far THE BEST GAOD!!! I LOVE IT!!! GOOD WORK! I've used DT for years now. I've never had a problem with it with kaspersky or microsoft security essentials. It's never released the magic smoke from any computer I've used it on. I've never had any sorts of blue screens or other mentioned problems with the SPTD. And trust me.. I use DT a lot heh. Now onto this giveaway.. I upgraded from the lite version to this pro version with 0 problems. I just picked the upgrade selection on the installer page. The installer went right through. I'm running Win 7 x64 ultimate. Microsoft SE gave no warnings. Rebooted. Up and running fine, no issues. Freakin A++ on the DT giveaway, by far the best one all year. Awesome! I've used DT for years now. I've never had a problem with it with kaspersky or microsoft security essentials. It's never released the magic smoke from any computer I've used it on. I've never had any sorts of blue screens or other mentioned problems with the SPTD. And trust me.. I use DT a lot heh. Now onto this giveaway.. I upgraded from the lite version to this pro version with 0 problems. I just picked the upgrade selection on the installer page. The installer went right through. I'm running Win 7 x64 ultimate. Microsoft SE gave no warnings. Rebooted. Up and running fine, no issues. Freakin A++ on the DT giveaway, by far the best one all year. Awesome! #76, IAmShae, Virtual CD (and I think Alcohol 120%) install virtual burners. Virtual CD doesn't use SPTD, and it supports up through Blu-Ray. I tried to install this program, but I keep getting an error message stating "Internal Setup Error. EWrror Code 14 - Contact Support". I have downloaded the program twice and I keep getting the same message. Please Help. I wanted to use this program Immediately. I tried to install this program, but I keep getting an error message stating "Internal Setup Error. EWrror Code 14 - Contact Support". I have downloaded the program twice and I keep getting the same message. Please Help. I wanted to use this program Immediately. One of the best giveaways yet! Allows users to mount a disk image in almost any format. Use it for playing games with normally require a disk, DVD on the plane to save on battery life, or install software from a ISO repository. Edit disk image files without having to recompile the entire disk. Use for software testing or for creating a slipstream OS install image. I installed so many freewares from GAOTD, and today, for the first time, my AVG Antivirus detected an infection in the file imgengine.dll written in the Daemon Tools Pro Directory. Is it a false alert ? I installed so many freewares from GAOTD, and today, for the first time, my AVG Antivirus detected an infection in the file imgengine.dll written in the Daemon Tools Pro Directory. Is it a false alert ? WARNING! Install this at your peril! disabled two of my external drives and in general made a mess I still can't clean up completely. WARNING! Install this at your peril! After installation my PC took four times as lomg to boot into Windows and after it finally did some of my programs crashed or froze. It disabled two of my external drives and in general made a mess I still can't clean up completely.